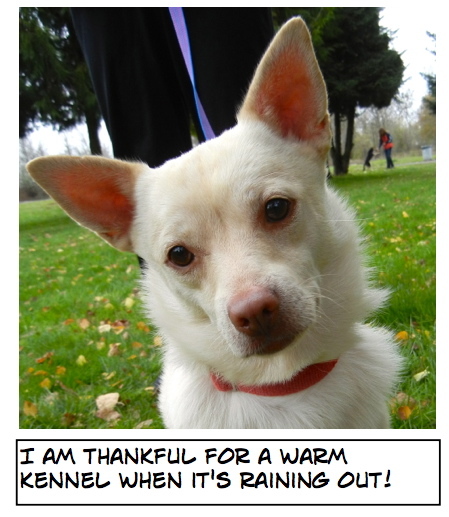 Happy Thanksgiving from our rescue dog, Scout! (Yes, he puts up with a lot from me!) We both wish you a very happy holiday! 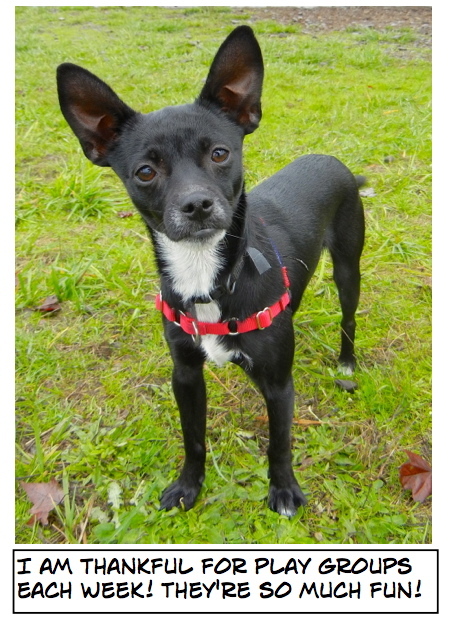 Last week there were some great adoptions, but the one I was the most excited about (and the only Blog Dog) was this guy. 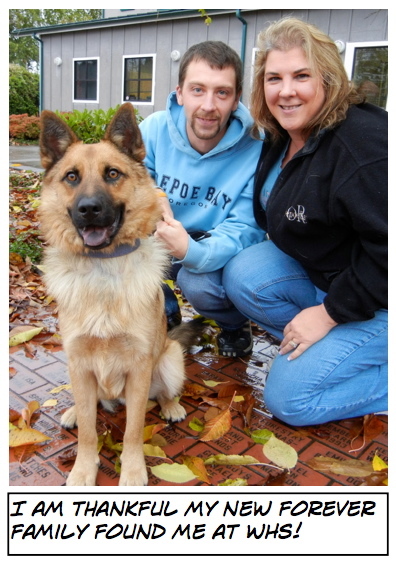 Yep, Joker, a START dog who had been at the shelter since September waiting for his perfect fit of a family hit the jackpot on Sunday when his forever family took him home. 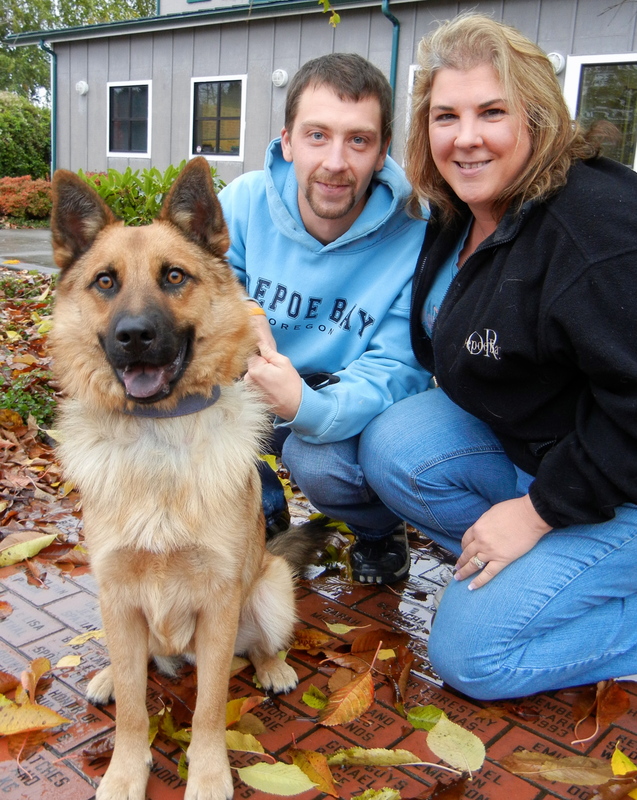 They were so excited to adopt him and his new name is Gunner. They have promised me updates, so I’m looking forward to hearing about his adventures. 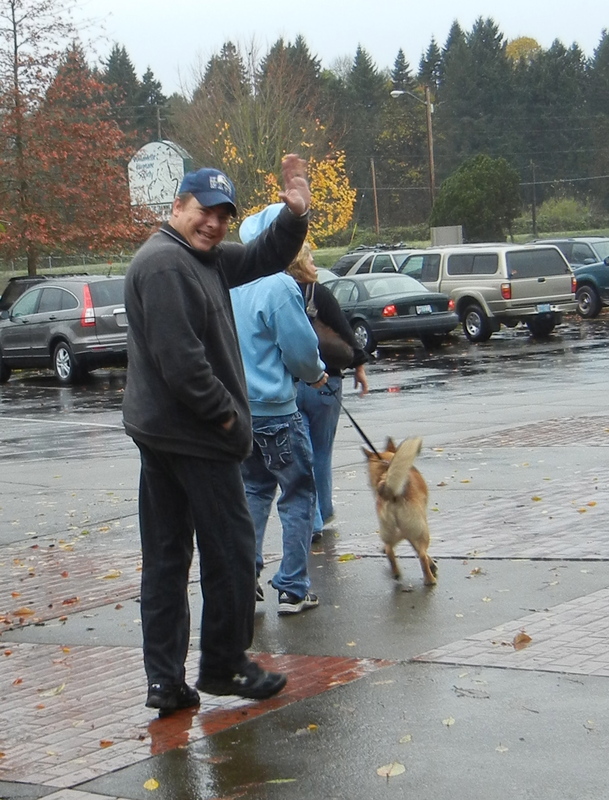 Here he is leaving WHS for the last time. 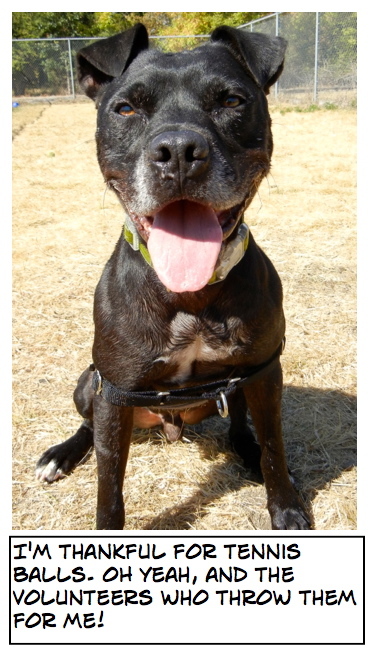 We will miss him in play group, but wish him a wonderful new life as part of a family! 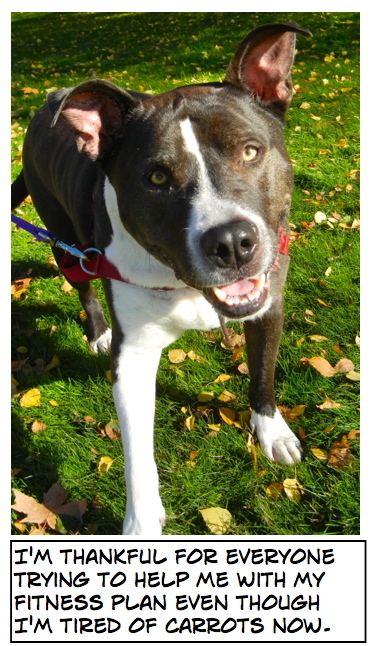 The dogs seemed to know that Thanksgiving was coming, and were especially grateful for our weekly play groups. Here is some of the chatter I overheard. 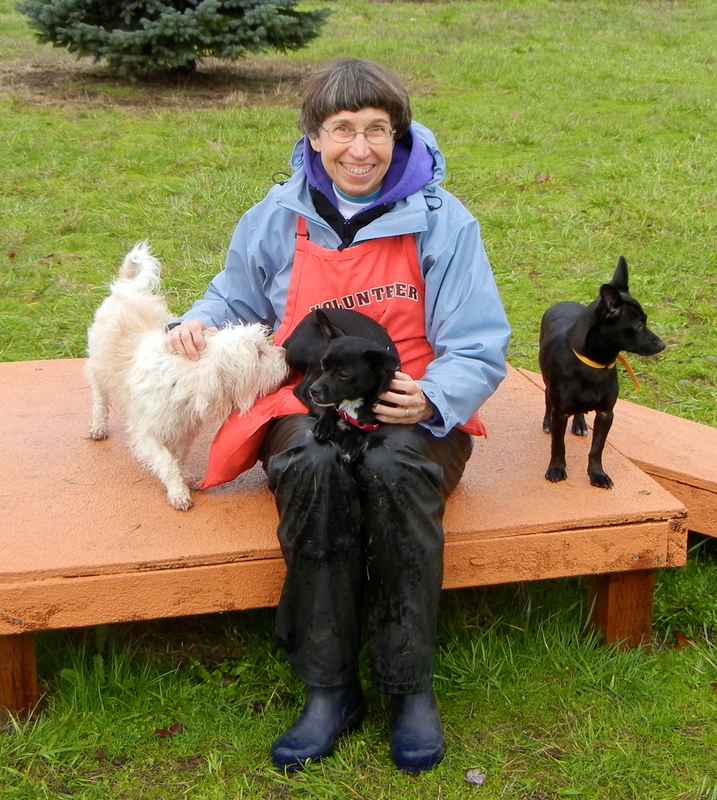 Joker, Rockstar, and Zoe (our Volunteer Manager BJ’s dog) had a visit with Linda. 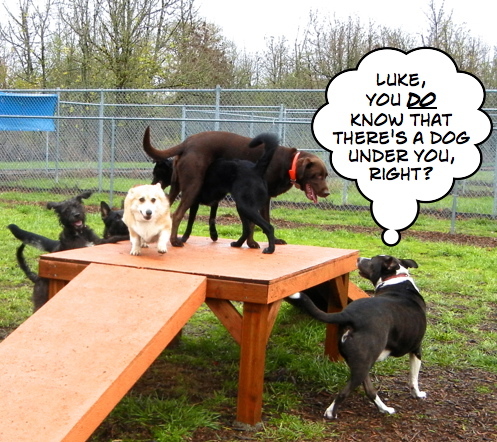 Charlie noticed that Luke (another one of BJ’s dogs) was in a bit of a predicament. 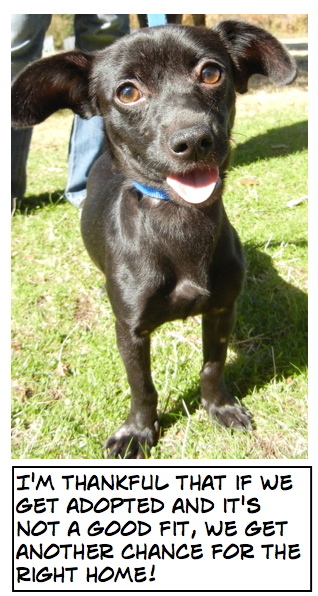 Joker played hard, but decided he didn’t want to be too tuckered out when his family came to get him. 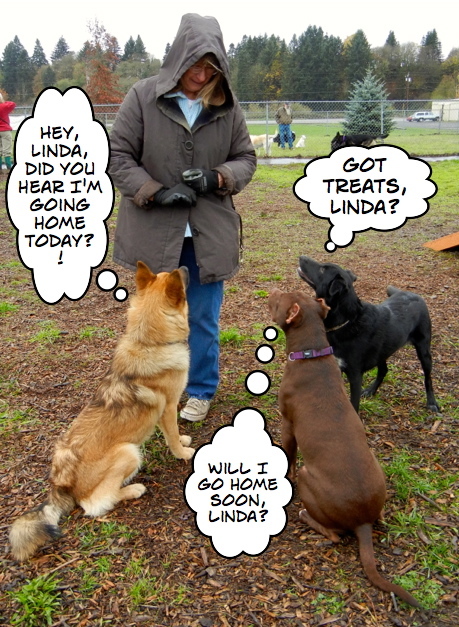 I spent some time with the little dogs in play group. Here I am with Travis, Dilbert, and Isabel. 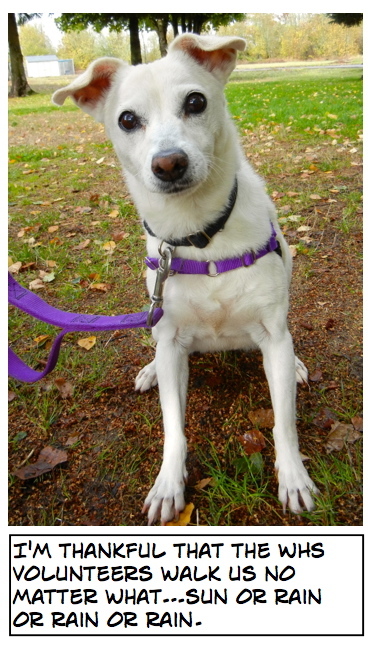 Malcolm, being the thoughtful guy that he is, wanted to say something on behalf of everybody. Today’s post is going to be a little different from usual. 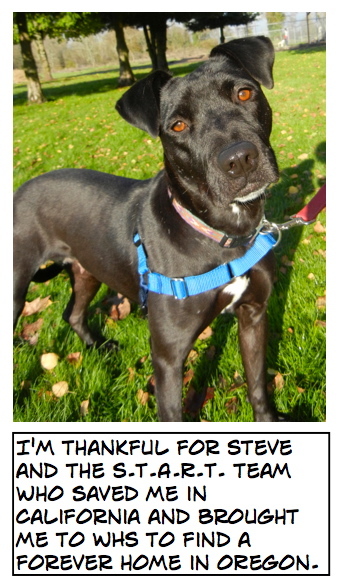 Since tomorrow is Thanksgiving day, I asked some of our current shelter dogs to tell me something they are thankful for. Here is what they would say if they could, in their own words. Great idea for all the dogs to make a comment. I especially liked Malcolms. 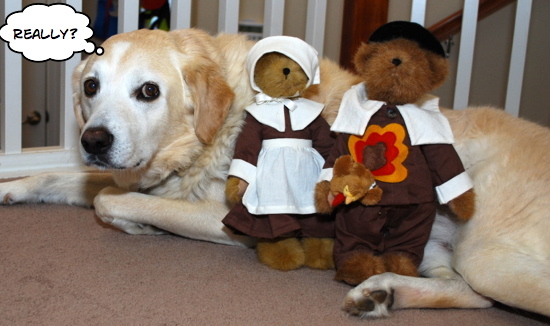 A really nice picture for Thanksgiving. 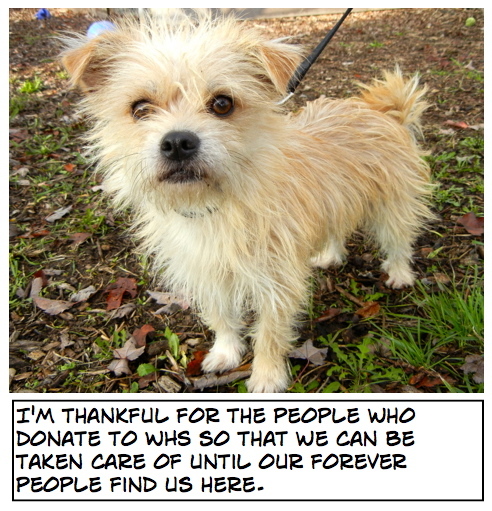 I am Thankful for you who bring all the dogs to the public, and loving them all. 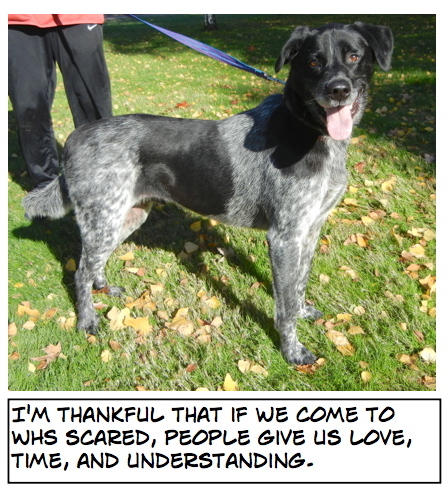 I am thankful to the wonderful staff who try so hard to find homes for all the animals at WHS. 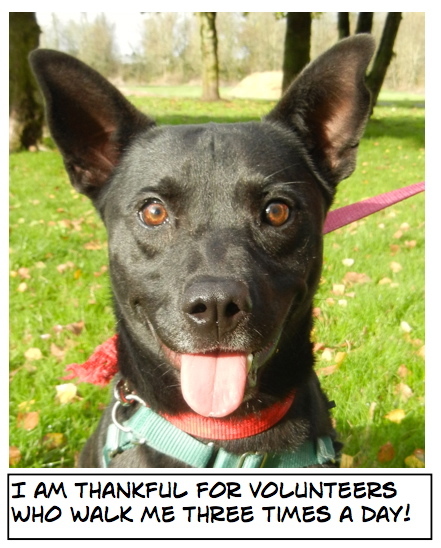 Also for all my fellow volunteers. 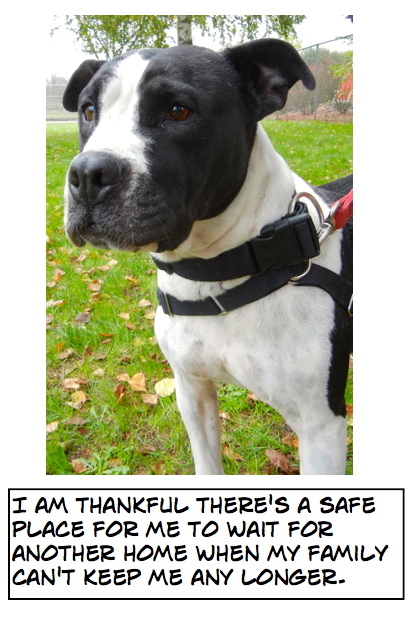 I am gratefull for all these wonderful dogs who have enriched my life. I do believe Marla just said it best! So thankful that you are so articulate and creative in giving these dogs some exposure to the public. 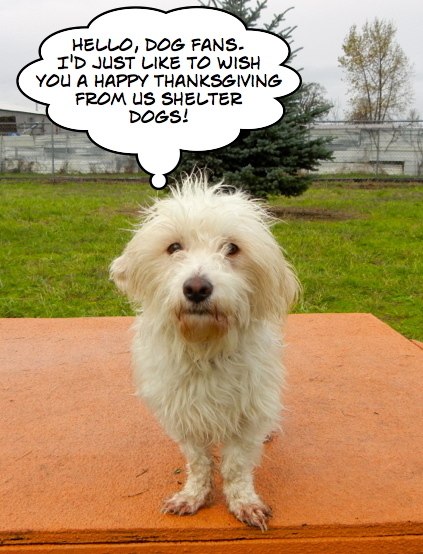 Happy Thanksgiving my friend! 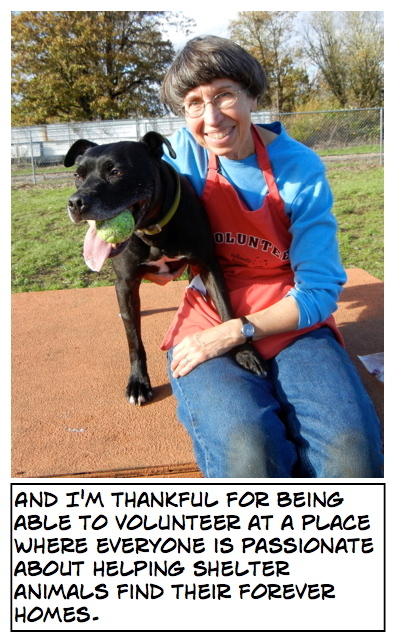 I am thankful for the devotion my BFF, Mart, shows for all of the dogs that just want someone to love them and give them a home. 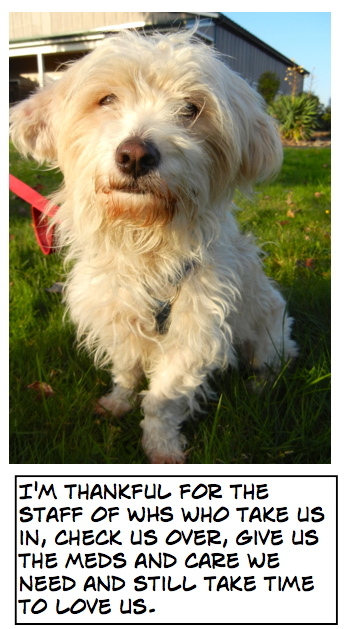 Great thankfulness captions theme! 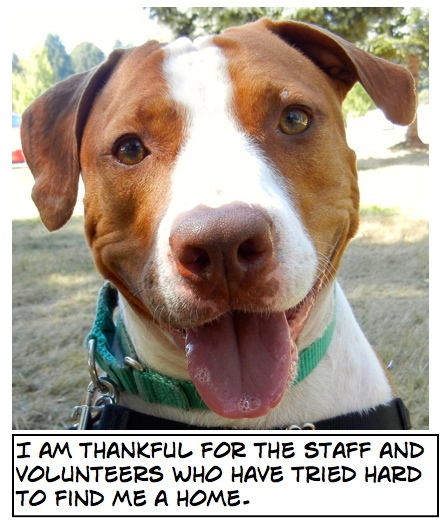 I also thank you for all you do for making the dogs look so adoptable. Also, I am so glad to see Joker adopted finally. 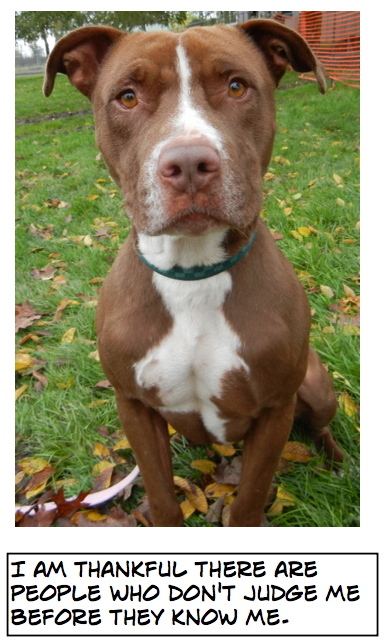 He is so beautiful and a nice dog; can’t believe it took so long, but these look like the right people. 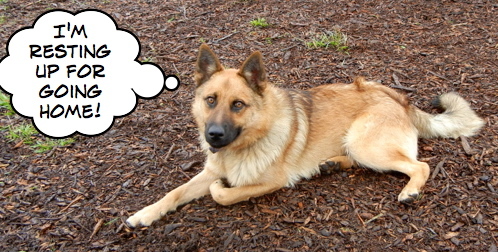 (I love shepherd mixes, and he is a nice looking one). Awsome site! I am loving it!! Will come back again. I am bookmarking your feeds also. Posted by 1daycarinsurance.ws.